What began as a simple and free photo storage service has become a powerful AI-assisted database for collecting information about every part of your life. Do the benefits outweigh the costs, or is Google Photos getting too close and creepy for comfort? If you want to know how to delete Google Photos, we’ll show you. Why would you want to delete Google Photos? Our understanding of Google Photos’ data collection capabilities has expanded significantly since its launch in 2015. Users are attracted by the unlimited storage capacity, smooth layout, cross-platform syncing, and sharing opportunities. Some also enjoy Google’s photo recognition AI, which identifies faces and objects in users’ photos and generates searchable tag words. However, this same feature can give Google some uncomfortably detailed insights into your life. It will be able to recognize friends in your photos and infer familial relationships – whether or not those people are tagged. It will be able to form a profile of your favorite activities based on the photos you upload. It will be able to determine the locations of your photos based on landmarks – even if you’ve turned off your device’s location settings. Google Photos’ powerful AI image search at work. 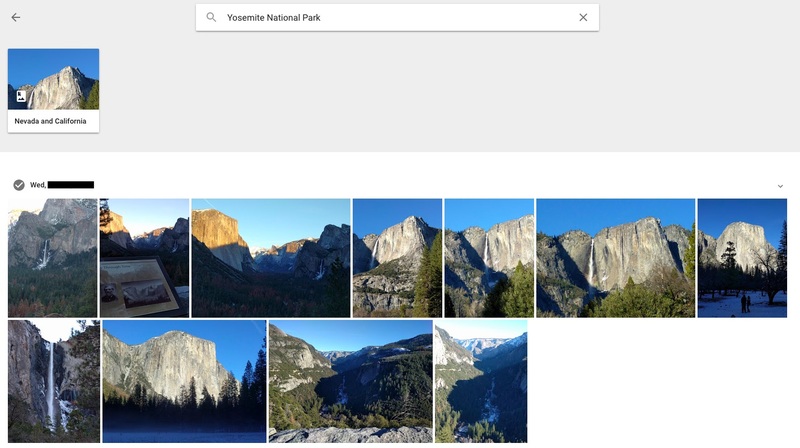 These photos were taken in Yosemite National Park, but none of them were geolocated or tagged there. For some, this is a fair tradeoff for the functionality of Google Photos. For others, this represents an unacceptable invasion of their privacy. If you’re determined to wipe your Google Photos account clean, read on below. Deleting all of your photos from Google Photos isn’t too difficult. However, there are a few additional steps you should take to make sure that the process is both painless and permanent. 1. Back up anything you want to save. The first step is to save anything you don’t want to lose. Google makes it easy to do this by letting you select groups of photos or entire albums and download them in a compressed .zip file. If you want to download ALL of your photos, then create a Google Photos folder in your Google Drive (find out how to do this in step 2) and download them from there. 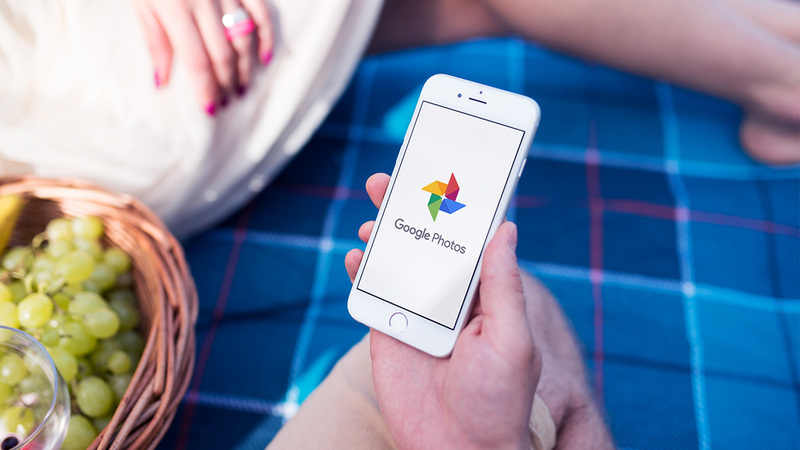 Google Photos usually syncs with your device, meaning that if you delete a photo from your account, it will delete that photo from your device’s storage as well. That’s why it’s important to back up your files separately. 2. Choose how you’ll delete your photos. Depending on how many photos you have, you may not want to actually use Google Photos to delete them. For up to a couple hundred photos, you can delete them on Google Photos by selecting them in batches and deleting them. If you have more photos collected over a longer period of time, you’ll want to use Google Drive.Google Drive allows you to create a folder to hold all of your Google Photos content. This folder and its subfolders are much easier to delete, allowing you to easily get rid of everything in one go. – Click on the 3 bars in the upper left-hand corner to go to your account panel. – Click on the gear-shaped Settings icon. – Find the Google Photos option called “Auto Add” and switch it on. – Click on the gear-shaped Settings icon in the upper right-hand corner of your Google Drive. – Click on Settings in the dropdown. – Scroll down to the “Create a Google Photos folder” option and check the checkbox. Either way, this will create a folder in your Google Drive that has your photos sorted into subfolders. Now, just delete everything. Google Drive will show you a dialogue confirming that you’ll be deleting the photos from Google Photos and from any devices synced with your account. You’ll probably want to ensure that none of the photos you continue to take with your device end up on Google Photos. If you want to keep Google Photos installed, then find your Google Photos settings tab and turn off the “Back up & sync” function. This means that Google Photos will only store the photos you give it, as opposed to any photo your device takes. Alternatively, if you’re ready to give up Google Photos for good, simply delete the app from your devices!